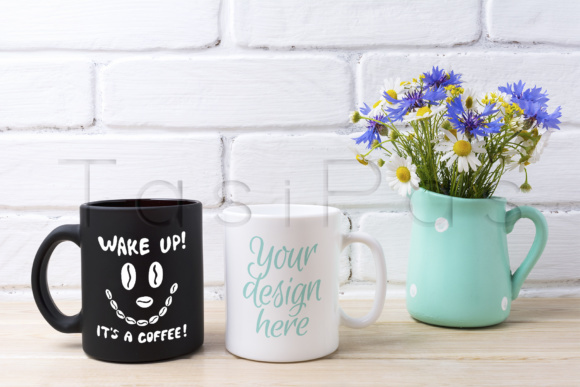 White and black mug mockup with cornflower and daisy. 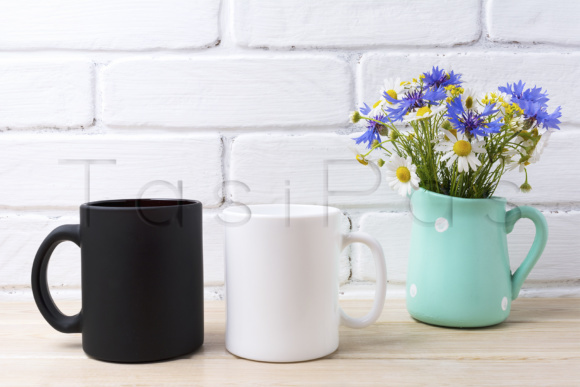 White and black coffe mug mockup with cornflower and daisy in the rustic pitcher vase. Empty mug mock up for design promotion. 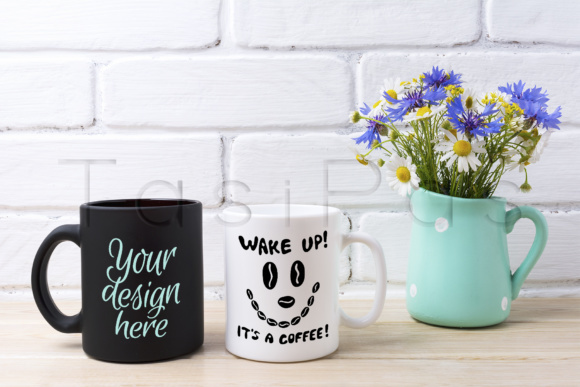 You can use this digital image of standard white and black coffee mugs as mockup for presentation your product or design. You can add or overlay your message or your design on the photo to promote your products.